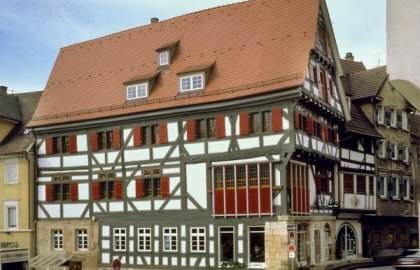 The buildings Hafenmarkt 4 – 10 are considered to be the oldest connected row of half-timbered houses in Germany. They were all built between 1328 and 1331. The row shows the complete construction of a medieval alleyway – even though House No. 6 has plastered walls and different windows. 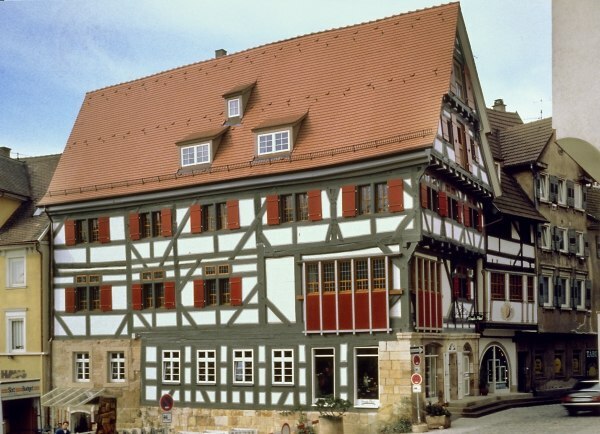 Of course, during more than 600 years the inhabitants changed structural details again and again. But supporting structures and basic elements from the time of construction have remained and bear witness to the true age of this house. Even in those days there were workshops and shops on the ground floor of the houses. The living areas were on the upper floor with bedrooms and servants’ rooms. Mighty vaulted cellars link the houses together.